The completely new MixConsole excels not only in terms of usability, look and feel, but also sounds better than anything before it! Featuring full-screen mode, total scalability and quick in-place access to the parameters most relevant to the task, MixConsole adjusts seamlessly to notebook screens and large-scale displays. With its extremely flexible channel layout, 12 dB boost and dedicated processing power per channel, an exceptional feel to the controls and comprehensive online and offline automation tools, MixConsole provides uncompromising audio quality and routing flexibility from the outset, with plenty of pristine headroom and a fundamentally transparent sonic signature. Dedicated to our diehard users, Cubase 7 brings extraordinary workflow improvements to the table, delivering a genuine benefit to professionals working regularly with the mixer. Highlights include A/B comparison and global bypass for all audio effects, a plug-in search function as well as drag-and-drop support throughout. Plus, dynamic sends and inserts provide a streamlined overview, whereas the professional meter bridge lets you keep track of your signals. Aiming on providing barrier-free accessibility to the blind and visually impaired, MixConsole is compatible with screen reader software and can be operated using only the computer keyboard. The brand-new channel strip in Cubase 7 offers that epic pro-console sound that lets you turn your songs into a hard-hitting, radio-ready production. Along with this the redesigned Channel Settings window gives you lightning quick access to all channel parameters, including input metering, routing assignments, the new channel strip with premier equalization and dynamics modules and essential aux as well as cue sends to create individual cue mixes. There’s no need for scrolling — the display follows you automatically wherever you are and updates each time you adjust controls on a different channel. The new global Chord Track allows for easy working with chords within your Project window and provides transform and harmonize functions throughout the application. Cubase detects the harmony structure of your song and feeds back all chord and scale information to both MIDI and audio tracks processed with VariAudio. All tracks engaged to follow will automatically reflect any harmonic adjustments made with the Chord Track! Advanced voicing options are used to transform existing parts in a harmonically correct and ear-pleasing way. Alongside this thanks to the Hermode tuning technology, the intonation of your synthesized notes are changed dynamically on the fly for utmost compatibility with well-tempered scales, while retaining a high degree of purity for third and fifth intervals. Especially when combining non-fixed-intonation instruments, like brass and woodwind, and fixed-intonation instruments, such as guitars and piano, entire orchestral arrangements sound immediately clearer and more brilliant than before. Steinberg VST Connect SE allows musicians to connect directly to Cubase 7 users, giving you the freedom to collaborate and produce together, even when you’re not in the same studio, town or country. Talkback and chat functions as well as video and audio stream in real time give you limitless possibilities. Collaborate with your musical partners when they are not using Cubase, thanks to the included standalone version, which is available as a free download. The Steinberg Audio Engine has also been extended with the brand-new ASIO-Guard technology. Rely on our intelligent dropout-prevention algorithms and focus only on your sound — just like in the analog days. With this bulletproof technology our goal is to help Cubase users get the maximum performance out of their systems. All this and we’ve only scratched the surface of the announced updates and improvements in the package so check out the link down below for all the rest of the info on this new version. 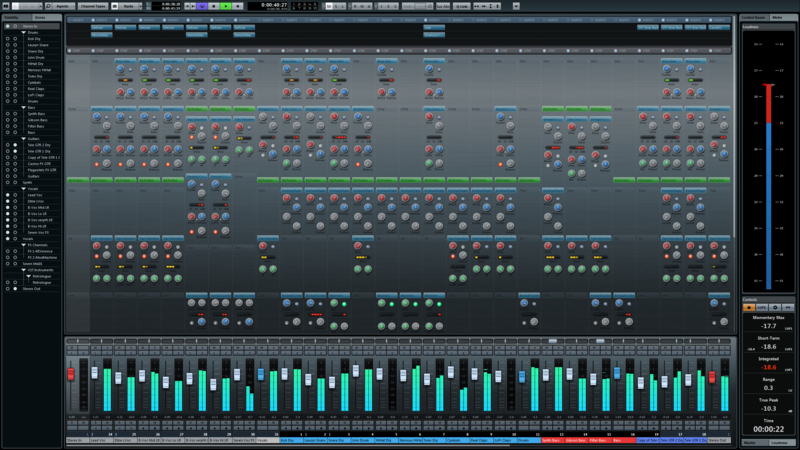 Cubase 7 – Whats New? Copies of Cubase 7 will be landing with us around the start of December. Anyone purchasing a copy of Cubase 6.5 after 25th October will qualify for a free upgrade to Version 7 via the Steinberg Licensing center.